A contract for difference, or CFD, is a type of financial derivative where two parties enter into a contract speculating on whether the underlying instrument will increase or decrease in price. If a trader or investor ‘buys’ the underlying and the instrument increases in value, the seller must pay the difference between the current value and the value at the contract’s end to the buyer. If, however, the underlying instrument decreases in value the buyer must pay the price difference to the seller. In essence, the buyer is taking a long position while the seller is taking a short position. When CFD trading, you can act as either a buyer or seller, depending on whether you think the underlying will rise or fall in value. If the underlying falls in value after you have sold the asset (that is, taken a short position), you would make money. If it were to rise in this instance, you would lose money. The ability for investors to take part in the market place, without requiring ownership of an asset, has led to the increasing popularity of CFDs with investors. As a leveraged product, they can be traded with only a small percentage of the amount needed to enter into the contract. Investors are able to hold a much larger position than their capital would otherwise allow, which has the ability to amplify gains as well as losses. It allows investors to speculate on instruments that they would not otherwise be able to include in their portfolio. The simplicity of the product, which affords access to investors of all levels, has also contributed to its increasing popularity. Contract for difference are quoted with two prices. The bid (sale price) is first, then the offer (purchase price). For example, consider stock X, which is quoted at 9/10. Long positions are taken when you believe the stock will increase in value. If a buyer purchases 1000 equity CFDs of company X, he will pay £10 per share. While this would amount to £10000, the buyer only needs to put up a percentage of that (depending on the required margin percentage). For instance, if the margin percentage is 20% the buyer will need £2000 to open the position. A commission will also be charged. If the price has increased, the buyer may choose to close the position. If the new quote is 11/11.5, the buyer will now sell at the bid price of £11 per CFD. He will receive £3000 (margin plus £1000 profit), or a £1 per share gross profit for the CFDs. The buyer may also choose to keep the contract open, if he believes the underlying asset will continue to increase in value. The investor will sell 1000 CFDs for £11 per share, amounting to £11000. Required margin, using the same 20%, is now £2200. If stock X has fallen, the seller may choose to close the position. This will require buying the same number at a lower price. If CFDs for stock X are now quoted at 9/10, the seller will buy 1000 contracts at £10 to close the short position, and make a £1000 gross profit. In the early 1990s, contract for difference were used almost exclusively by hedge funds and institutional traders in the United Kingdom. Now, they are now used in many markets around the world, and can be created based on many different types of underlying assets. In the above example, “X” may in fact be a share, an index fund, a commodity, interest rates or bonds. As they are over-the-counter (OTC), contracts can often be specified to the particular wants and needs of an investor. Through a market maker, who will define the terms of the contract including include the margin rates and underlying instrument. The market maker is also known as the provider. This is over-the-counter (OTC), meaning trading is done directly between two parties. Through a Direct Market Access model (DMA), where the underlying assets are directly purchased on the underlying exchange. In Australia, CFDs may also be traded on an exchange. As with any financial instrument, there are certain risks associated with this type trading. Primarily, these include market risk, liquidity risk and counter party risk. Although volatility is often sought after by traders of CFDs, market risk also results from market volatility with the potential for an underlying asset of a CFD to drastically alter in price. However, stop loss orders may help control risks associated with the volatility of the underlying volatility. A stop loss order will trigger the actions to close the contract if the asset falls below a certain price. Of course, if CFDs are not available in the market at the price, the order cannot be filled which is referred to as ‘slippage’ or ‘gapping’. This risk can be mitigated by using guaranteed stop-losses, which guarantee you a worst-case-scenario price. The market most closely resembles the futures and options markets, but with several differences. Unlike options and futures, CFDs do not have an expiry date. Rather, it is up to the investor to choose when to close the contract. Another difference is that CFD trading is primarily done outside of an exchange. * Access to underlying market without needing to own specific instrument, available on several instruments, and across nations. * Ability to trade on margin and create leveraged positions. This offers investors the opportunity to increase profits, but also increases risk. * Low transaction costs. Most providers operate through a commission. * High levels of personal control, because you are able to trade both long a short, and trade outside of regular exchange hours in some markets. * Market is highly transparent. * No time limit on positions. As the investor, you choose when to close a position. One should note that a CFD can be an open contract for long period of time, but is more commonly used as a short-term instrument. * CFDs offer hedging opportunities to increase safety of overall portfolio Accendo Markets has its own unique trading platform, providing a simple user interface, live pricing, current open positions, trading tools and charts, and live news feeds. These attributes allow you to take advantage of the many opportunities provided. You will also have access to information and trading opportunities provided by Accendo Markets’ analysts provided to help increase your knowledge of trading. CFD trading and spread betting are both popular trading products in the UK. Both are derivatives which provide the holder with exposure to an underlying market, such as shares, share indices, commodities or currencies. 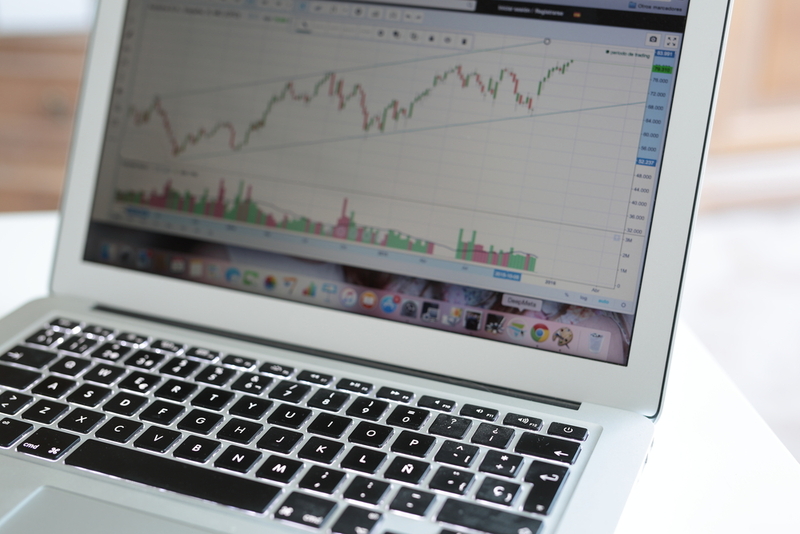 In recent years, the market has seen an increasing number of UK investors learning how to trade online. Contracts for difference are favoured over spread betting by experienced and professional traders as they provide pricing benefits over spread betting. Additionally, there is no expiry date on a CFD contract. Of course, spread betting remains very popular in the UK. This is largely due to the tax benefits and simplicity of trading. The novice trader can gain access to underlying markets, using leverage, for as little as £1 per point. To trial the spread betting platform, visit our spread betting demo application page. Both CFDs and spread betting mean that you gain indirect exposure to the underlying market on a leveraged basis. All of the markets on offer can be traded online, on desktop or mobile, via your trading platform at the touch of a button.